Maximize your Wyze Cam’s potential with continuous recording and time-lapse video. Wyze Labs was created with the mission of making high quality, easy-to-use, affordable smart home technology accessible to everyone. We believe big things come in small packages - that’s why we created an affordable, easy-to-use smart home camera that can help you solve life’s mysteries, big and small. So you can be everywhere. And watch everything. 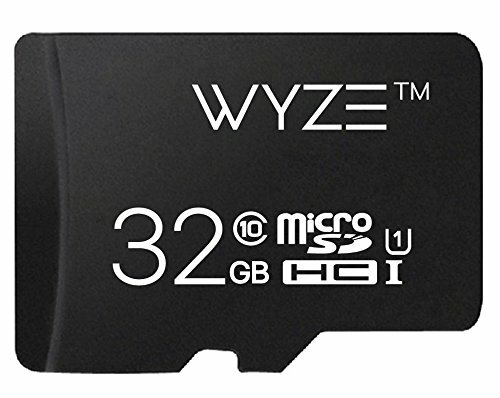 Maximizes Wyze Cam functionality with continuous recording and time-lapse video and enables video to continue to record even if Wi-Fi connection is interrupted. If you have any questions about this product by Wyze Labs, contact us by completing and submitting the form below. If you are looking for a specif part number, please include it with your message.